What a cool pin! Congrats! Oh snap! Way to go! That's awesome! If there's anything I've learned in this hobby, it's to be patient, and stick to your guns on what you're willing to pay. It'll find you eventually! TinyTink, stitchismyspiritanimal, Disneychildwithin and 1 other person like this. I am so patiently awaiting all those Stitch Invades/Guest Stars. That is such a nice pin. Congrats! Today I too completed the WoE series! Still deciding if I want the WoM series, the villains are just better suited to the theme I think. Haunted575, Ajk, CCofRR13 and 6 others like this. 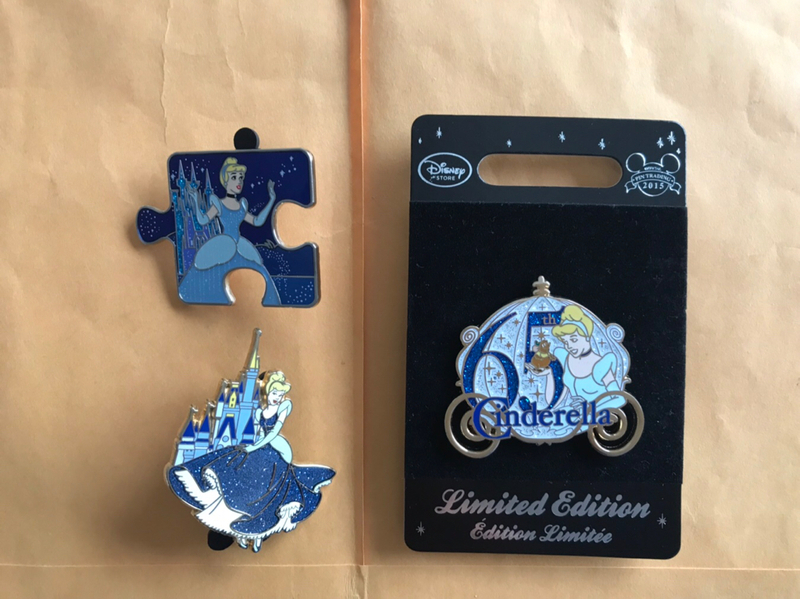 Got these three Cinderella pins in a trade from @pinocchiolover. Took a couple weeks but got here just fine. 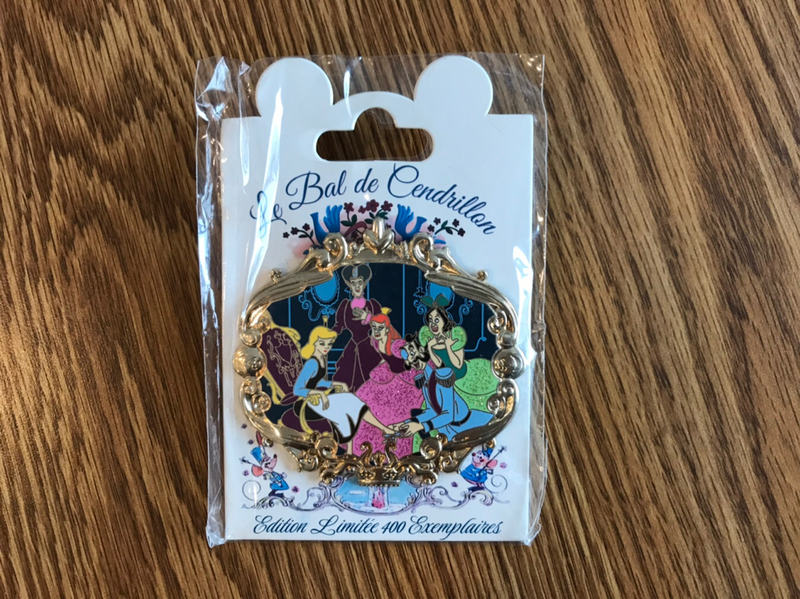 This pin came in a Facebook trade. Much bigger than I expected. TinyTink, DisneyJ, Ajk and 5 others like this. Congrats! I am still two pins away from completion. Initially I agreed with the WoE being better suited to the theme, but after a minute I thought... perhaps we are just familiar with villains in the window? If they had started with the WoM might I feel the opposite? I think I might... but I do still prefer to collect villains over princesses, so there is my bias. Received my package from @MerlinEmrys a few days ago but kept forgetting to upload, two backpack magical mystery series, one blue HM pouch and a few lovely LE's. Such beautiful pins! TheMickeyMouseRules, DisneyJ, SnowEvil and 8 others like this. That could be part of it for me too. 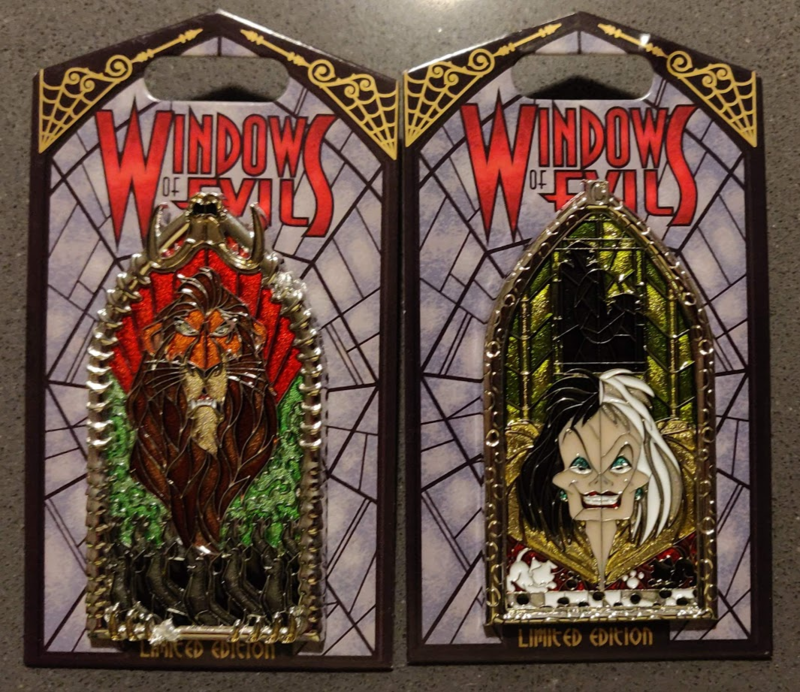 Also in my case I was able to get all of the WDI villains profiles we wanted at (mostly) reasonable prices (they got painful by the end of the series) but we have none of the heroes or heroines profiles because of the ridiculous resale values, so that factors in to wanting the villains more as well, the windows compliment the profiles nicely. And yes, the villains can be more fun! Next we have a Brave triplet bear ornament from @bcol just because he is apparently incapable of sending me a simple package without adding in extras (you have a problem, dude). And last we have a package from @docfish2u. Talk about incapable of sending a package without extras. I gave him explicit instructions that he was to send me only the Fergus PTD (the last Fergus pin I wanted!) 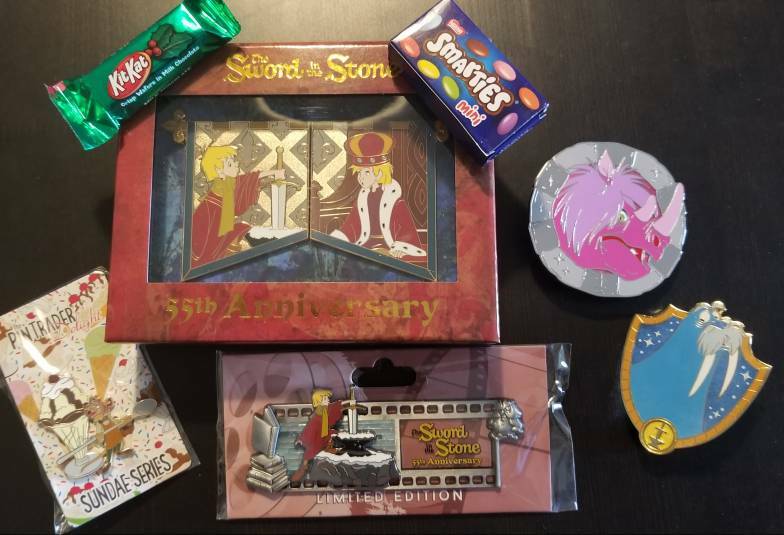 and two or three pins from a list I provided to fill out our trade (the princess silhouettes for my sister). What I failed to take into account was that he would send extra zaps that were not on my list at all. This will come as exactly zero surprise to anyone who has had dealings with the legendary Grailslayer. TinyTink, Mike_Mouse, slbrabham and 11 others like this. 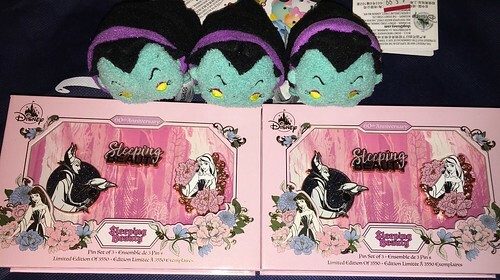 Congratulations on the Mulan pins! The purple is blackcurrant! I love that, green, red and purple skittles are the only ones I like.. I like the purple ones! Don't let those drumstick lollies pull any teeth out though haha. Well, no wonder I didn't recognize the taste then! I'll stick with my grape Skittles. TinyTink and Kerri780 like this. Haha there’s a reason I put a limitation of stitch with only characters from his movie on my collection. Mike_Mouse, Ajk, MerlinEmrys and 11 others like this. Poor little Tinkerbell, she’s been looking for her little bear chew toy. Mike_Mouse, TheMickeyMouseRules and *Firefly* like this. Did they let you buy two? Or did you have help? Just trying to decide what I will run into when I go next week. Yes, they did. I was flying solo today. I did state (jokingly) I wanted all five. I purchased the Tsums since they were on clearance. 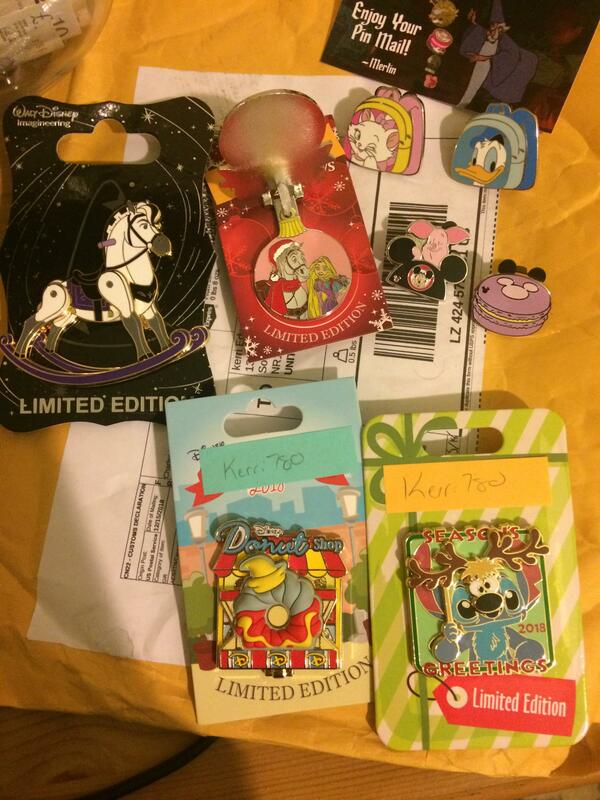 Got my killer trade from @timeerkat today! Look at all those goodies!! Thank you soooooo much! Now. Tessa is probably thinking, "Didn't I put more candy in that?" CCofRR13, TinyTink, slbrabham and 11 others like this.